Who doesn’t love Mercedes ?? 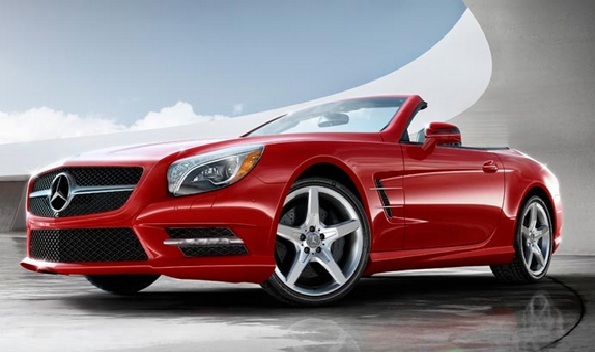 The 2013 Mercedes-Benz SL550 Convertible is the new sports car you would surely be in love with. The exterior is stylish and the interior is stunningly beautiful. The powerful engine is capable of giving outstanding performance. The safety and technology features are more advanced and high tech. Let’s have a look at some of its spectacular features. It exhibits an elegant and exotic exterior with the new aluminum body. It is lightweight, strong and rigid and has a heritage of nearly 60 years. The new enhancements in the cockpit and open air driving gives you a pleasant driving experience. The 19-inch AMG wheels are integrated beautifully into the sides of the chassis. The standard Panorama roof and the available AIRSCARF system make it a roadster for all seasons. You can enjoy various moods of this Panorama roof with just a touch of a button. A see-through panel and sliding sunshade, or MAGIC SKY CONTROL let you engage in a true convertible car experience. The interior is luxurious and comfortable. The perforated leather seats are relaxing to sit in. The sport steering wheel gives you more grip over the car. The Active Ventilated seats are comfy to sit in. The leather and handcrafted interior trim gives you a more lavish feel. The new Biturbo V-8 engine is robust and can deliver an output power of 429 HP and 32% more torque. The 7-speed automatic transmission gives you the fastest acceleration .The acceleration of 0-60 mph is achieved in just 4.5 seconds. You can choose from three selectable modes including true Manual control via steering-wheel mounted paddle shifters, and a fuel-saving ECO-Start/Stop System. The Innovative Direct-steer let you to cruise the vehicle smoothly. The Active Body Control and SL’s multilink suspension let you control the vehicle easily. 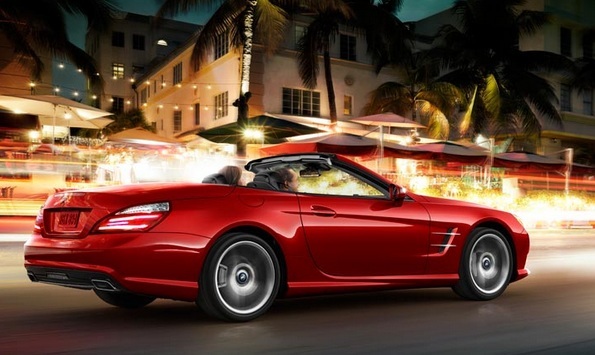 So, get ready to cruise in the new 2013 Mercedes-Benz SL550 Convertible and experience the power of driving.